Did you ever feel you are “drinking from a hose” with the amount of data you are attempting to analyze? Have you been frustrated with the tedious steps in your data processing and analysis process and thinking, “There’s gotta be a better way to do things”? Are you curious what the buzz of data science is about? If any of your answers are yes, then this course is for you. Classes will all be hands-on sessions with lecture, discussions and labs. Participants can choose to sign up for one or both courses. For more information, download the syllabus (PDF). Basic knowledge and experience working with quantitative data; experience and skills in a different programming language or data processing and statistical software is helpful but not required. Have some experience using version control; some statistical knowledge is helpful and/or attendance to Part 1. Tammy is working on a variety of projects for TREC, including documentation, data synthesis, analysis, and visualization supporting ongoing work with PORTAL and Bike-Ped Portal. Tammy received a BS in Genetics & Plant Biology from UC Berkeley before earning a PhD in Environmental and Natural Resource Sciences from WSU. Prior to joining TREC she worked as a data scientist for a political digital media consulting firm. When not working she's either hiding in the forest or experimenting in the kitchen. 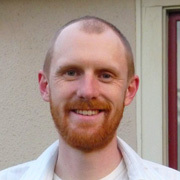 Joe Broach's research projects include Incorporate Emerging Travel Modes in the Regional Strategic Planning Model (RSPM) Tool, Transferability & forecasting of the Pedestrian Index Environment (PIE) for modeling applications, and Travel Mode Choice Framework Incorporating Realistic Bike and Walk Routes. This course is eligible for 35 hours of professional development credit for AICP (see our provider summary). We can provide an electronic attendance certificate for other types of certification maintenance. Requests for reasonable accommodations may be made to Conference & Events Office, (503) 725-CONF, email: conferences@pdx.edu or the Disability Resource Center, (503) 725-4150, e-mail: drc@pdx.edu. In order to ensure that reasonable accommodations can be provided in time for this event, please make your requests as soon as possible.